With the help of robots like SAM, the construction industry may be better able to handle the labor shortage it is currently facing due to a combined boom in construction projects and skilled workers who are aging out of the workforce. One construction tech company is helping to make worksites more efficient through developments in robotics and automation. 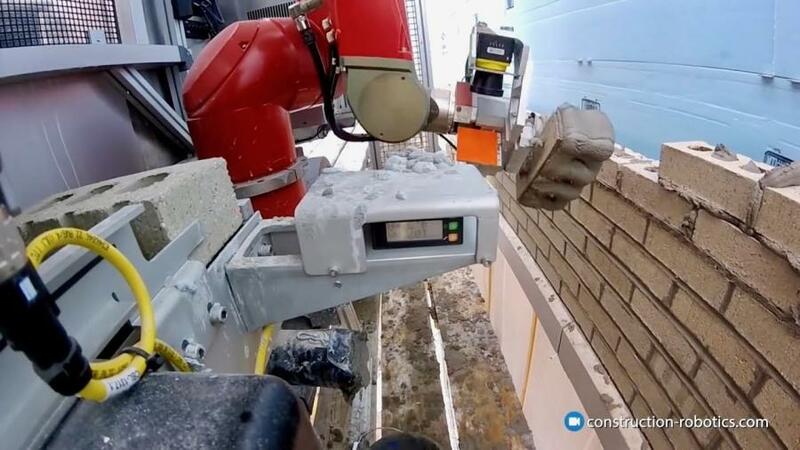 New York-based Construction Robotics' automated bricklaying tool, SAM 100 (short for Semi- Automated Mason) can lay about 300 to 400 bricks per hour—far more than a human worker's average of about 60 to 75 bricks. However, SAM's aim is not to replace bricklayers on construction sites, but rather to help them in working more efficiently, Forbes reported. SAM cannot work without masons by its side, who are responsible for setting it up, striking the joints and making sure the finished product meets quality standards. According to Zak Podkaminer, operations manager for Construction Robotics, “Construction will benefit from robotics in work that is dangerous, is repetitive, and where heavy lifting is required. [In] high precision work such as complex designs and patterns, robotics will provide a significant time savings allowing for more digital fabrication and provide architects more creative flexibility," Forbes reported.